Pontalis (Jean-Bertrand).— Avant-propos, Bulletin de psychologie, Tome 64 (6), N°516, 2011, p. 501-502. Miller (Jacques-Alain).— Nota bene, Bulletin de psychologie, Tome 64 (6), N°516, 2011, p. 502-502. Lacan (Jacques).— La relation d’objet et les structures freudiennes. Compte rendu de J.-B. Pontalis, Bulletin de psychologie, Tome 64 (6), N°516, 2011, p. 503-518. Title: The Relationship of Object and the Freudian structures. Accounts of the seminars, edited by J.-B. Pontalis. Lacan (Jacques).— Les formations de l’inconscient. Compte rendu de J.-B. Pontalis, Bulletin de psychologie, Tome 64 (6), N°516, 2011, p. 519-539. Title: The Formations of the Unconscious. Accounts of the seminars, edited by J.-B. Pontalis. Lacan (Jacques).— Le désir et son interprétation. Compte rendu de J.-B. 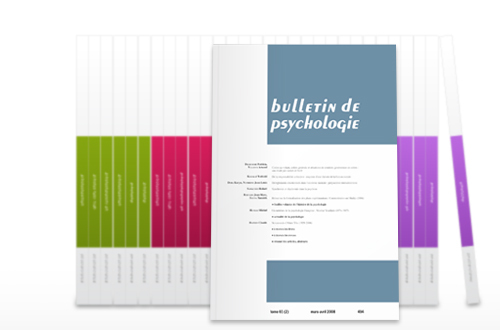 Pontalis, Bulletin de psychologie, Tome 64 (6), N°516, 2011, p. 541-557. Title: Desire and its Interpretation. Accounts of the seminars, edited by J.-B. Pontalis. Résumé : Les comptes rendus des séminaires de Jacques Lacan, établis par Jean-Bertrand Pontalis, et agréés par Lacan, ont été publiés dans les tomes X, XI, XII et XIII du Bulletin de psychologie. Documents d’intérêt historiques, dont l’édition originale est épuisée, ils sont, ici, republiés à l’occasion du trentième anniversaire de la disparition de Jacques Lacan. Abstract : The accounts of the seminars of Jacques Lacan (The relationships of Object and the Freudian structures, 1956-1957 ; The Formations of the Unconscious, 1957-1958 ; Desire and its Interpretation, 1958-1959), edited by Jean-Bertrand Pontalis, with Lacan’s approval, were published by Bulletin de psychologie (vol. X, XI, XII, XIII). Documents of historical interest, nowadays out of print, are therefore reprinted on the occasion of the thirtieth anniversary of Jacques Lacan’s death. Le Maléfan (Pascal).— La psychothérapie naissante au sanatorium du Dr Sollier (1861-1933). À propos de Cam. S., délirante spirite, Bulletin de psychologie, Tome 64 (6), N°516, 2011, p. 559-571. Abstract : Through the report of a case of spiritist delusional neurosis and its treatement in the Sanatorium of Dr Sollier, exactly where Marcel Proust was hospitalized for therapy, we illustrate how and what context the emerging psychotherapy have sought out ways of hypnotic suggestion, some time by falling again there as it is the case here. But the opportunity is given to know better the personnality and the work of Dr Sollier and to show which links could exist between the care to the nervous patients and the care in modern drug addicts, both were affected by a dispossession of themselves.